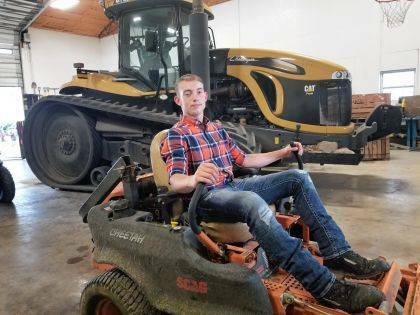 Lane Boggs, a 17-year-old student at West Liberty-Salem, shown here, says he’s always had a green thumb and enjoys the outdoors, so is starting a landscaping/lawn care business this summer. His services include mulching, mowing, tree and bush pruning and trimming, as well as spring, fall and monthly yard cleanup, tilling, power washing, gutter cleaning, aerating, dethatching, sod installation, paver patio installation and more. Contact Boggs at 937-869-2422. Business hours are 7 a.m. to 9 p.m. daily.